Alternating between the voices of Imani and Germano, Mia Couto's Woman of the Ashes combines vivid folkloric prose with extensive historical research to give a spellbinding and unsettling account of war-torn Mozambique at the end of the nineteenth century. Each morning, seven suns would rise over the plains of Inharrime. In those times, the firmament was much larger, and all the stars were contained within it, the living and the dead. Naked just as she had slept, our mother would leave the house, a sieve in her hand. She was going to choose the best of the suns. With her sieve, she would gather up the remaining six stars and bring them back to the village. She would bury them next to the anthill behind our house. That was our graveyard for heavenly creatures. One day, if we ever needed to, we would go and unearth stars. With such a bequest, we were not poor. That's what our mother, Chikazi Makwakwa, said. Or just mame, in our native language. If you are someone who needs a strong plot to enjoy a novel, this particular story may not be for you. However, if you are comfortable with a slow build, deep and intimate characterization and many conflicting viewpoints, Woman of the Ashes will deliver. While not without some faults, Couto creates an interesting snapshot of Mozambique under Portuguese rule. He paints the various cultural and social crises that this situation presents, placing them in a larger historical context. This is a slow, thoughtful read that will make you eager to learn more. (Reviewed by Natalie Vaynberg). Woman of the Ashes weaves a stunning tale of a war-torn period. Excellent... while readers with some knowledge of Mozambican history will get the most out of the novel, this is still a fascinating, intricate story. 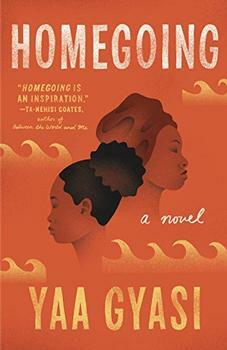 A rich historical tale thick with allegory and imagery that recalls Marquez and Achebe. Starred Review. An intriguing combination of folklore, history, and magic realism, and the first in a trilogy, this is a novel to be read and reread, savored and analyzed. One of the most interesting characters in Mia Couto's Woman of the Ashes never formally makes an appearance  the emperor, Ngungunyane, the Lion of Gaza. Who is this powerful figure who ruled the Gaza empire (which encompassed southeastern Zimbabwe and southern Mozambique.) What led to his triumphs and, finally, to his downfall? What do we know about the empire that created him? 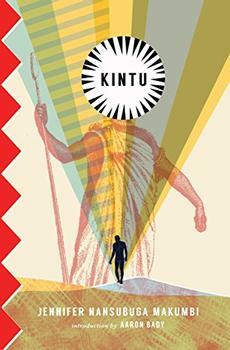 First published in Kenya in 2014 to critical and popular acclaim, Kintu is a modern classic, a multilayered narrative that reimagines the history of Uganda through the cursed bloodline of the Kintu clan.